Stephen Merchant to Join Colin Hanks, Marc Maron, Kumail Nanjiani, Retta & MORE! SANTA MONICA, CA., September 14, 2012 – KCRW (89.9FM and KCRW.com) is excited to announce that Stephen Merchant will join their comedy showcase, Storytime for Grownups, which takes place as part of RIOT: LA’s Alternative Comedy Festival. Merchant, the co-writer and co-director of the British sitcom The Office, is also known as the co-host of The Ricky Gervais Show and was formerly the co-writer, co-director and a co-star of Extras. Merchant will share his own 7-minute story at the special benefit event, hosted by actor Colin Hanks. Unlike traditional stand-up shows, Storytime for Grownups is a unique evening of comedic monologues, in a format similar to the popular storytelling series The Moth. An eclectic mix of guests take the stage including WTF podcast host ,Marc Maron Indoor Kids podcast co-host Kumail Nanjiani, Parks & Recreation actress Retta, Maria Bamford star of Comedians of Comedy and many more. Each will share a personal, funny and often touching tale with the audience. Tickets to Storytime for Grownups, sold separately from RIOT LA festival passes, also include access to THE LOT, an outdoor food and vendor market. KCRW Presents THE LOT which will host LA’s favorite food trucks and provide free beer to entrants. Dozens of local vendors will also set-up in THE LOT selling hand crafted and vintage jewelry, clothing, accessories, art, knick knacks and numerous other indescribables, all carefully curated by the Tin Box Of Curious Artifacts. THE LOT will also feature giveaways, activities and surprises from RIOT LA sponsors. RIOT: LA’s Alternative Comedy Festival, is a celebration of the underground comedy community and all that makes it unique. The first of its kind in Los Angeles, RIOT LA was born out of the need to share LA’s vibrant comedy scene with the world. For more information on the event, including a full list of presenters and to purchase tickets, please visit www.kcrw.com/riotla. Proceeds from Storytime for Grownups ticket sales will benefit KCRW. “This year’s KCRW Ball may have come the closest one can get to the experience of William Randolph’s famed costume parties at the Hearst Castle during the decadent 1920’s. No matter which way you looked, there was no shortage of jaw dropping transformative wonder.” – LA Record. SANTA MONICA, CA., September 7, 2012 — KCRW’s Halloween costume ball and dance party Masquerade will return on Saturday, October 27 and pre-sale tickets are now available. The annual fundraiser, held at the Park Plaza, includes five themed rooms with music provided by KCRW’s own skilled selectors and other high-profile DJs and live bands. Ghost stories, food trucks, interactive experiences by Lucent Dossier and more add to the appeal of this blockbuster event, which has sold out every year. Proceeds for the event support the public radio station’s programming. Pre-sale tickets to Masquerade will be $65 for KCRW Members and $75 to the general public. Only a limited number of tickets available at early bird prices. Tickets will then cost $85 in advance and $100 at the door. Join over 280 bakers for the family-friendly event who have entered their pie creations in hopes of winning the ultimate baking battle. Attendees get a FREE piece of pie and FREE admission to LACMA that day for anyone wearing an apron! Plus, KCRW DJ Anne Litt will be on the decks providing the perfect soundtrack to the day’s festivities. * Huell Howser * Michael Voltaggio * Ilan Hall * Krista Simmons * David LeFevre * Sherry Yard * Zoe Nathan * Karen Hatfield * Russ Parsons * Jonathan Gold * Kris Morningstar * Shannon Swindle * Josh Graves * and MANY more! Media will have an opportunity to take pictures of over 280 pies, bakers, and our panel of guest judges. We’ll also have interview opportunities with our judges. SANTA MONICA, CA., September 4, 2012 – KCRW (89.9FM and KCRW.com) announced today its signature public-affairs program To The Point will change places with The World. Starting Monday, Sept. 10, Warren Olney’s daily news program will air between 1 and 2 p.m. PST on 89.9 FM and KCRW.com. PRI’s The World will start an hour earlier at noon following KCRW’s Morning Becomes Eclectic. In the last year, KCRW has expanded its newsroom with the addition of All Things Considered host Steve Chiotakis and producer Avishay Artsy in addition to morning producers Saul Gonzalez and Darrell Satzman. 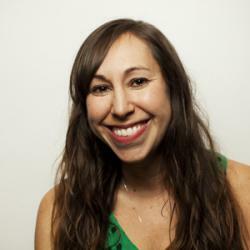 Social-media producer Caitlin Shamberg joined the team to add a layer of engagement as editor of the Which Way, LA? blog and To The Point producer. Most recently, journalists Anna Scott and Evan George have joined Warren’s team under managing producer Sonya Geis. The programming change will take place following this week’s live To the Point broadcast from the Democratic National Convention. Co-produced by KCRW and Public Radio International, To the Point is nationally syndicated. It will air on KCRW at 89.9FM and at www.kcrw.com Monday – Friday at its new time of 1:00pm PST starting September 10. The schedule change will not affect when the show airs in other markets. Please check local listings. To see a full list of syndicated stations or for more information on To the Point please visit www.kcrw.com/tothepoint.